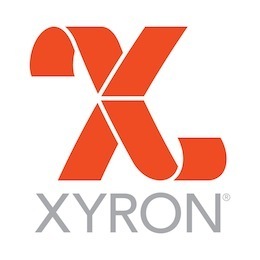 Xyron 500 CREATE A STICKER Machine 5 Inch XRN500 at Simon Says STAMP! xrn500 This item is on reserve until If you would like to reserve this item now, you may purchase it now with the rest of your order. We will hold your order now and ship your entire order as soon as this item is back into stock. If you would like your order to ship now, please place this item on a separate order. Success, Xyron 500 CREATE A STICKER Machine 5 Inch XRN500 has been shared! This easy-to-use machine puts a uniform layer of adhesive on any item. No batteries or electricity required. Great for card making or larger pieces being used in scrapbooking. This little sticker machine makes stickers out of die-cuts, photos, ribbon, tags and much more up to 5 inches wide. Refill cartridges available in both permanent and repositionable adhesives. Features: No mess use, small and lightweight, easy drop-in cartridge replacement, acid-free, edge to edge permanent adhesive coverage, no heat, electricity or batteries required, instructions. Machine measures approximately 6x9x9 inches. Adhesive roll measures: 18 feet long and 5 inches wide.